This is a pigment based (UV stable & water resistant*) rainbow ink cartridge set for use in the Primera LX900e and RX900e printers. It contains 1 black, 1 cyan, 1 magenta and 1 yellow cartridge. 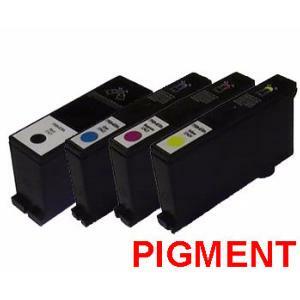 Please note: Do not mix dye and pigment ink cartridges in the same printhead. *Please click the links below for more information on this ink cartridge.